Infusing SmartPhone technologies with Enterprise class solutions. Watch how AcumenMobile can help conduct safety inspections, monitor site issues and control defects in a controlled and responsive manner. 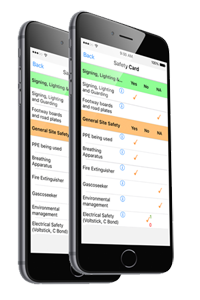 See AcumenMobile report on site hazards to ensure the continued safety of engineers and support staff. Capture and record material orders direct on site for real time processing and delivery. View maps and scheme drawings via mobile devices with simplicity to ensure reliable information. Take a tour to see how AcumenMobile will revolutionise your in-field working culture.